What Causes Black Mold to Grow in a Toilet Water Tank? 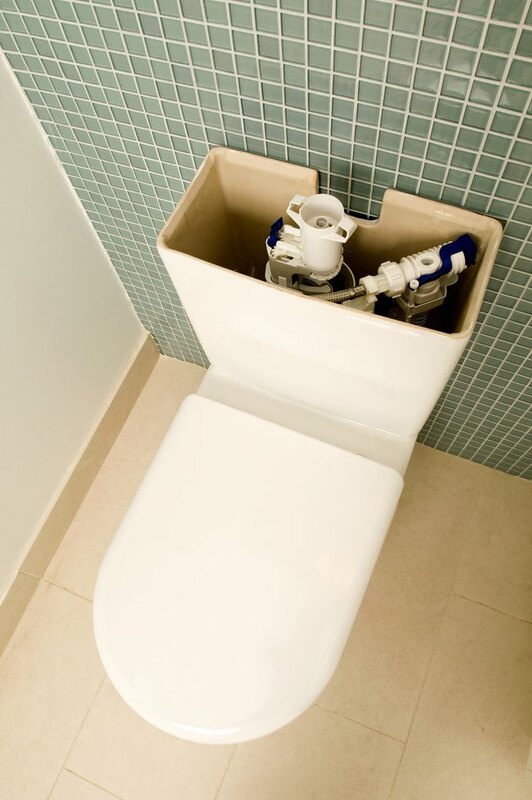 The water in your toilet tank should be clear and free of debris or contaminants. If you see black mold growth in your toilet, you'll need to take steps to remove the mold and prevent it from returning. Black mold can create health problems for those living in the house, especially if they have immune system or respiratory problems. A toilet tank can provide the moisture mold needs to grow. Mold needs certain conditions to thrive. Organic surfaces such as the tank's walls and hard water deposits help supply mold with a nutrient source. Mold also grows well in moist environments such as your toilet tank and the lid. If the air inside your house is warm, the water inside your toilet tank will heat up, which is also conducive to mold growth. You must remove the mold completely from the inside of the toilet tank. Start by closing the water supply line. Locate the shutoff on the wall behind the toilet and twist the valve completely clockwise to close. Flush the toilet to drain most of the water out of the tank. Use an ammonia-free soap and stiff-bristle brush to remove the mold from all surfaces inside the tank. After scrubbing, wet the inside of the toilet tank with a mixture of 1/4 cup of bleach and 1 gallon of water. Keep the surfaces wet with the mixture for a minimum of 15 minutes, disinfecting the surfaces so mold won't grow again. To keep the tank water cool, install toilet tank insulation, which provides a layer between the tank's walls and the air outside the toilet.